Today I have a simple treat that’s as easy as it is delicious. 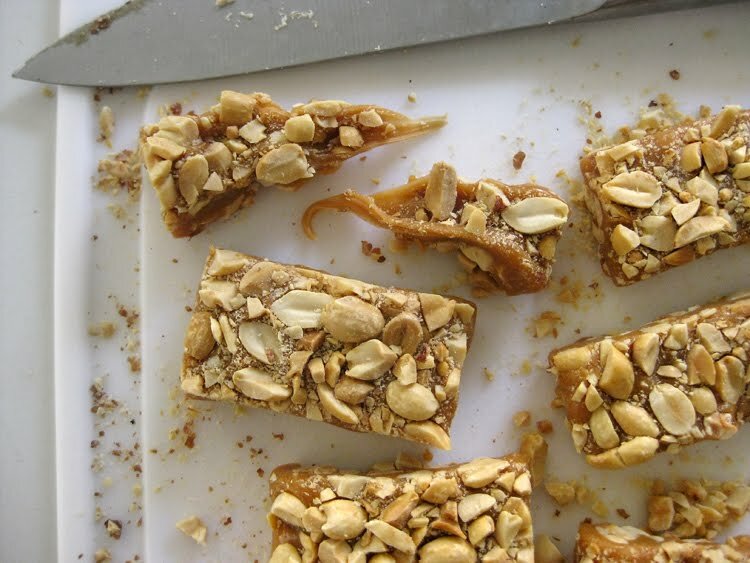 Three ingredients and 15 minutes is all you need to make these sweet and salty peanut bars. Lightly coat an 8 inch square baking dish with cooking spray. Line the baking dish with parchment paper, letting it hang over two sides, then lightly coat the parchment with the cooking spray. Evenly spread 1 1/4 cup peanuts across the pan. In a heavy saucepan, combine 1 tablespoon water, the unwrapped caramel squares and the marshmallows. Cook over medium heat, stirring often, until the caramels and marshmallows melt and become smooth. 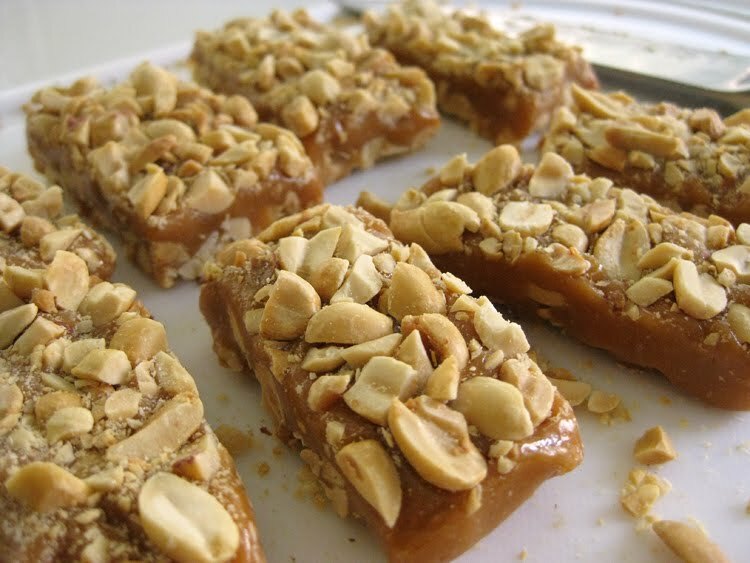 Pour the caramel mixture over the peanuts in the baking dish, then top with the remaining 3/4 cup peanuts, lightly pressing them down into the caramel. Let cool until solid, about 2 hours. Remove the entire square from the pan using the parchment paper flaps and cut into bars. Store leftovers in a airtight container between layers of parchment or wrap individual bars in professional grade plastic wrap for a delicious grab & go snack! p.s. The pot you melt the caramels in will be really sticky and the caramel hardens quickly on the sides after you pour it out. You may think that you’ll never get the pan clean, but just fill it with hot water, let it sit in the sink for about 10 minutes and it will all rinse right away! Oh, WOW! These look amazing! I might have to try them!!! Dangerously delicious – thanks for sharing!